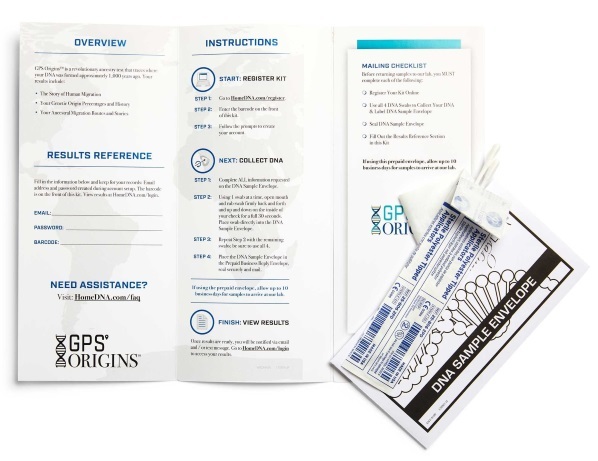 The GPS Origins® DNA Ancestry Test has revolutionized the DNA-testing industry. Since entering the market in 2016, GPS Origins has taken ancestral geographical genealogy to the next level. Unlike most other DNA tests, GPS Origins’ next-generation technology can pinpoint the precise location of where your DNA stems from, not just the general region. 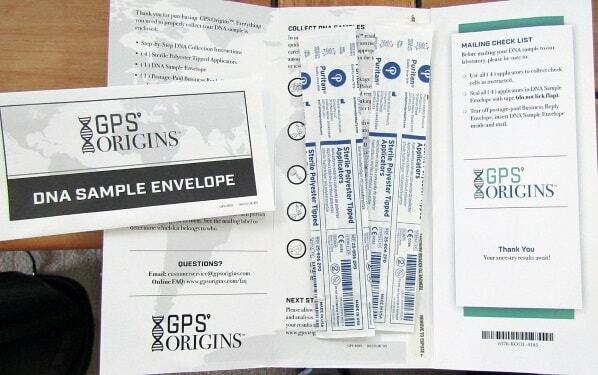 In addition to giving full gene-pool percentages, GPS Origins is able to track your DNA back—up to 1,000 years or more ago—showing the last three locations where your DNA signature underwent significant changes, sometimes to within just a few miles. And the report even provides a date stamp. A key benefit of using GPS Origins is seeing where your DNA originated. In our case, the DNA origin pinpoint was listed as near Vyshny Volochok, Russia, sometime prior to 1277 BC. The report offered two DNA migration paths, which represent movement of ancestors on both the maternal and paternal sides. One moved from Russia to the Czech Republic and ended at Palma de Mallorca, Spain, as early as 311 BC. The other path went from Russia to near Kalisz, Poland, and ended at Roanne, France, in 1095 AD. This kind of precision is very intriguing, assuming the science behind it is correct. As with other deep-ancestry kits, these results predate the availability of most genealogy research data, so they can provide some surprising additions to the family story. GPS Origins has a different mindset from other types of genealogy DNA tests. The focus is less on ethnic groups or racial lines, which change over time, and more on where different populations gathered to form an individual’s DNA. In addition to the location-specific migration paths, the GPS Origins report includes a full breakdown of each person’s gene pool. 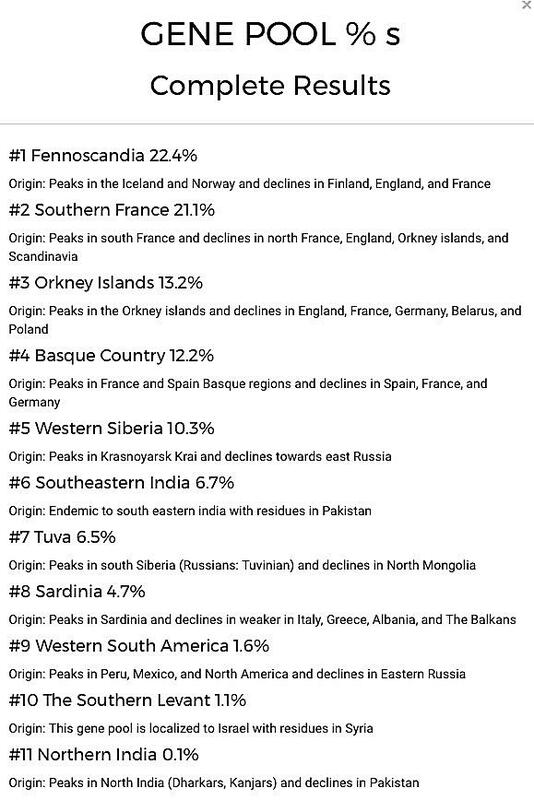 In our case, the top 3 gene pools were Fennoscandia (22.4%), Southern France (21.1%) and the Orkney Islands (13.2%). These group designations were different than those used on other DNA tests. Each of the top 3 gene pools included a history article with background on the peoples that comprised them. An accompanying chart included 8 other gene pools, from Basque Country (12.2%) down to Northern India (0.1%). The GPS Origins report includes a chart with breakdown of all gene pools in your DNA. The GPS Origins collection kit was rather spartan, in contrast to most other kits on the market. GPSOrigins advertises a 4- to 6-week turnaround time once it receives a completed DNA test kit. This is quicker than for some competing kits. Some users online reported receiving results in as little as 10 days, which could be due to GPS Origins using its own laboratory for DNA processing. All 4 cheek swabs were placed in the same paper collection envelope for shipment to the lab. The GPS Origins test uses autosomal (family) DNA for its analysis and report. In our case, the lab examined nearly 730,000 autosomal “markers” or mutations on the chromosomes and compared them with markers in the gene pools of reference populations in the GPS Origins database. By looking at where and when our DNA last changed, GPS Origins was able to provide the breakdown of gene-pool populations and the map of how ancestors migrated. Customer support is an important resource, especially when so many purchasers of DNA kits are new to genetic genealogy. We found GPS Origins customer service to be quick and responsive (replied within a day) with the one question we submitted regarding kit registration. Regular price for the GPS Origins DNA kit is $199, although the company does offer promotions that cut the price by $50 or more, and the promotion right now is for $99 per kit. 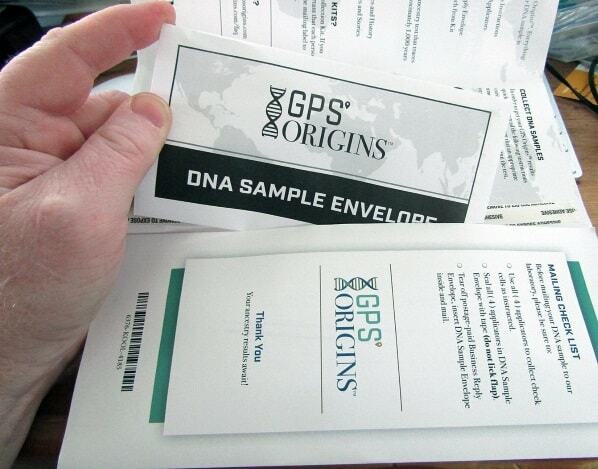 Consumers have the option of uploading a DNA file from another vendor for analysis using the GPS Origins algorithm. That option costs $79. GPS Origins offers a compelling DNA kit and deep ancestry report for genealogists who want to delve back many generations before family records were kept. Its report gives customers a very detailed migration route that their ancestors took from a point of origin to more recent times. This test does not provide the standard ethnicity mix that comes with many autosomal DNA tests; instead, it provides more reliable origins based on 41 gene pools. It also looks at where ancestors lived, and then moved, generations ago. The GPS Origins report gives customers the most specific migration paths for where ancestors once lived. GPS Origins provides a longer and deeper genetic history than other kits that focus only on providing a person’s ethnicity percentages. GPS Origins delivers deep ancestry, looking at genetic markers to estimate ethnic origins going back thousands of years, and mapping out two migration routes that ancestors followed. It gives pinpoint geographic accuracy to show where each person’s ancestors lived at various times in history. The laboratory work is done by DNA Diagnostics Center of Fairfield, Ohio.